I went on a road trip with a couple buddies of mine to Washington, D.C. 20 hours later, after a number of detours, we arrived just in time for the big speeches on the National Mall. We stood in the shadow of the Lincoln Memorial on Saturday, August 24, 2013. As we arrived, a march for Trayvon Martin, the 17 year-old shot and killed by George Zimmerman, was taking place. At the mall, I met Luna, who told me her grandparents were at the march 50 years ago. She also shared that her family took people into their home in D.C., the same home where she was staying for this year’s celebration (Photo, upper right). I made it to the front part of the mall, and peering through the sun, I saw thousands upon thousands of people. It was just in time to see Congressman (GA) John Lewis come to the podium and speak. He spoke on the importance of keeping up the fight 50 years later, describing that he was 23 years old when he marched on Washington. Martin Luther King III also addressed the crowd. He spoke passionately on the lack of jobs in the brown and black ghettos of America, and expressed his indignation at the suppression of voter rights in the recent Supreme Court decision, which his father fought so hard to achieve. Finally, Rev. Al Sharpton spoke, and gave an analogy that struck me. He said that an African American man came to him and asked why he was marching for civil rights, that he did not understand the whole civil rights thing, and that civil rights did not write his resume. Sharpton responded, “I told the man, your right, civil rights did not write your resume, but civil rights made it, so that your resume would be read.” This response received a strong applause from the audience. Later that evening, I became aware of an event held at the “Busboys & Poets” restaurant and bookstore on K Street. Professor Cornel West and Alex Suarez. The event was to feature authors and intellectuals, including Professor Cornel West (Photo, lower left). I did not know Dr. West would be in D.C. I was aware he was not invited to speak at the podium that day, possibly for his stance on Obama’s drone program, which he is strongly against. Drones are unmanned planes used in several countries to bomb targets. The strikes have been in Yemen, Somalia, and Pakistan. Many people find the strikes controversial. Reports indicate the strikes have also killed civilians. The strikes are also believed to have killed at least three U.S. citizens. One of whom was a minor, killed in Yemen while picnicking with his friends, a couple weeks after his father was killed by a drone strike. However, the overall atmosphere was positive. It seemed like Dr. King’s spirit could still be felt and his voice heard at every event. His statue, the “Stone of Hope”, installed only a few years ago, commemorates the iconic figure who spoke on the mall 50 years ago (Photo, center). The 30-foot statue represents Dr. King concentrating on the future and hope for humanity. It is a reminder that people’s dreams and their aspirations can live on in future generations. 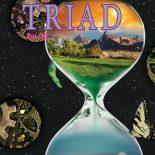 This entry was posted on October 26, 2013 by hcctriadme in Non-Fiction, Triad 2013.